The life of a picture book, like the life of a child, begins at conception. For my newest picture book idea, that life began last night as I lay in bed, armed with my new mechanical pencil and a composition notebook. I was brainstorming picture book ideas, when an interesting little ogress found her way from my brain onto the paper. I hadn't known she was there before! 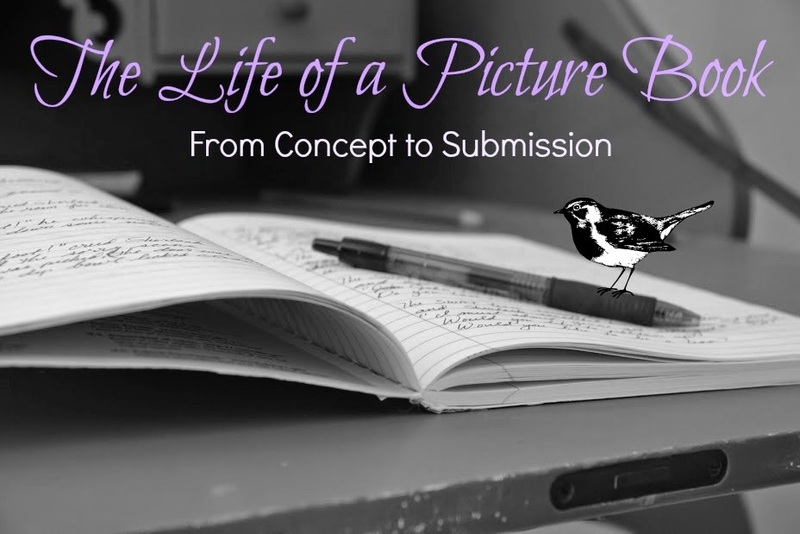 So I was thinking that it could be interesting to blog about the life of a picture book, from conception to draft to polished manuscript and beyond. Sometimes these journeys are long and arduous uphill climbs. Sometimes they seem to come as easily as a walk to the mailbox. But one thing they all have in common is that they always teach me something, every step of the way. And I would like to share what I learn with you. What I've learned from these "conception" moments is that I can't really escape an idea once it grabs me. An idea may not develop quickly, or much at all. It may not have a long and glorious, successful life. But it is always worth taking the time to help it grow. Oh, can't where to see where it goes. Love process posts. I'm with Corey. It always fascinates me to share someone else's journey, so I look forward to more.